August 30th, 1942. In a desperate bid to destroy the buildup of forces under new British commander Bernard Law Montgomery, Field Marshal Erwin Rommel launches his vaunted Afrika Korps at the southern flank of the Alamein line. Prelude to Alamein depicts 21st Panzer at sunrise in the western desert after a night of negotiating treacherous minefields and dodging sporadic bombing from the British Wellingtons. The battle would rage for another week, but Rommel's last bid to grab Egypt was doomed to failure. 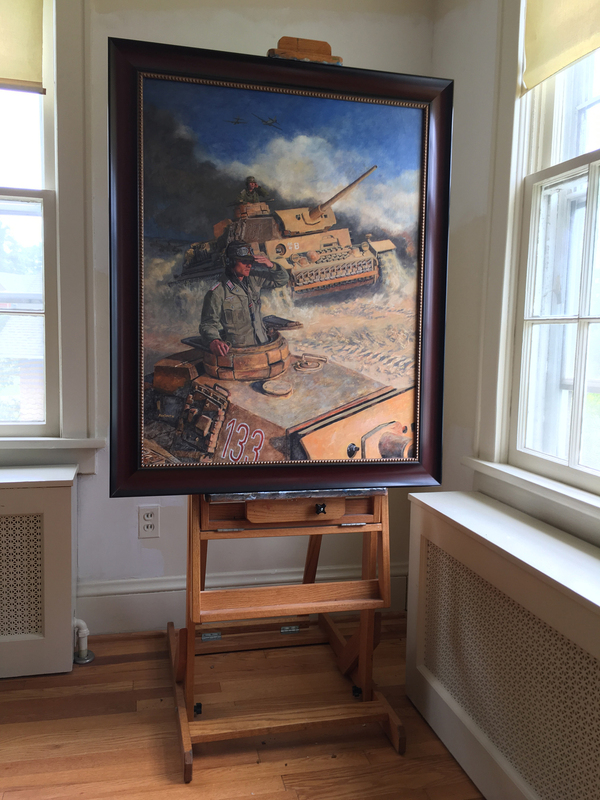 Prints are reproduced from the original oil painting with archival ink on 120 lb. acid free stock. Each of the 750 prints in the edition are signed and numbered by the artist and are accompanied by a numbered registration/ historical summary certificate. 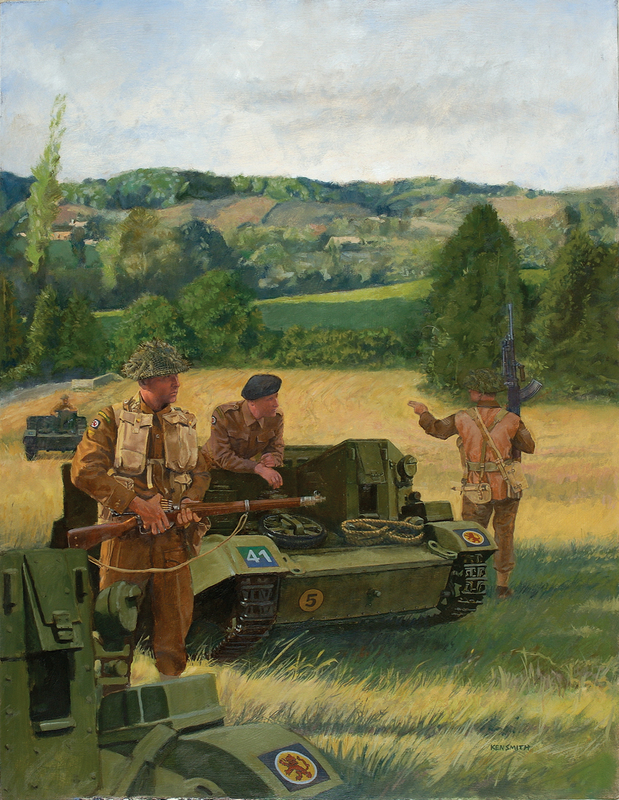 THE ORIGINAL Oil Painting OF PRELUDE TO ALAMEIN IS AVAILABLE FOR PURCHASE.